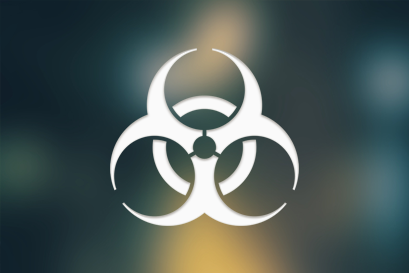 A biological attack, or bioterrorism, is the intentional release of viruses, bacteria, or other germs that can sicken or kill people, livestock, or crops. Bacillus anthracis, the bacteria that causes anthrax, is one of the most likely agents to be used in a biological attack. The Public Health Department has developed systems for rapid detection and investigation of disease outbreaks that could be the first indication of a biological attack. Early detection of illness caused by a bioterrorist attack saves lives. The earlier an act of bioterrorism is reported, the earlier it can be controlled. Local hospitals and doctors will be the first to see illness in the event of a bioterrorist attack. Health care staff assists in early detection efforts by reporting unusual disease occurrence to the Public Health Department and by learning the syndromes associated with possible bioterrorist disease agents. What Is A Biological Agent? A biological agent is a bacteria, virus, or toxin that can be used in a bioterrorism attack. Biological agents are labeled or categorized by how much harm they can cause. For example, Category A agents can cause more harm than Category C agents. A biological attack is the willful or deliberate release of germs or other biological agents than can make people sick. Some biological agents, such as anthrax, do not cause contagious diseases. Others, like the smallpox virus, result in diseases you can catch from other people. Many of these substances must either be inhaled, enter the skin through a cut, or be eaten to make a person sick. Quickly get away from the area. Protect yourself by covering your mouth and nose with several layers of clothing or fabric. If you were exposed, or become sick, seek medical attention. Can be easily disseminated or transmitted from person to person. Result in high mortality rates and have the potential for major public health impact. Might cause public panic and social disruption. Are moderately easy to disseminate. Result in moderate morbidity rates and low mortality rates. Require specific enhancements of CDC’s diagnostic capacity and enhanced disease surveillance. 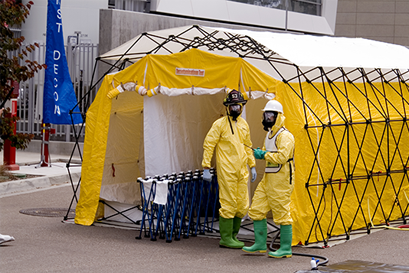 Visit the CDC’s Bioterrorism Agents/Disease list for more information. What Is A Chemical Emergency? A chemical emergency occurs when a hazardous chemical has been released and has the potential for harming people’s health. Chemical releases can be unintentional, as in the case of an industrial accident, or intentional, as in the case of a terrorist attack. Blister Agents: Chemicals that cause severe blistering or burns on the eyes, respiratory tract and skin by contact or inhaling. Blood Agents: Poisons that affect the body by being absorbed into the blood and could be released in air, water, or food. Choking Agents: Chemicals that attack the respiratory system and cause severe irritation or swelling of the nose, throat, and lungs. Choking agents would most likely be released in the air. 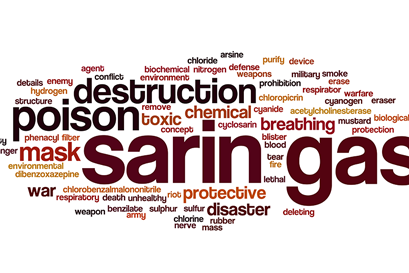 Nerve Agents: Highly poisonous chemicals that work by preventing the nervous system from working properly and could be released in air, water, or food. For more information, visit the U.S. Centers for Disease Control and Prevention (CDC) website’s complete list of chemical categories. All San Bernardino County residents should prepare NOW for a chemical emergency. You can get ready in advance by learning more about the risks and health threats some chemicals can cause. You could protect yourself during a chemical emergency, even if you didn’t know what chemical had been released. 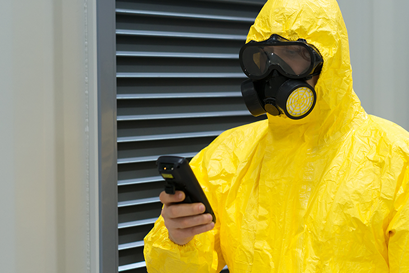 For general information about protecting yourself, check the CDC website fact sheets on evacuation, sheltering in place, and personal cleaning and disposal of contaminated clothing, as well as the California Poison Control System. How Will I Know To Evacuate? You will be notified by local police, emergency coordinators, or government, on the radio and/or television emergency broadcast system. Remain inside and stay close to a radio or television for important instructions. If there is a code red or severe terror alert, pay close attention to radio and/or television broadcasts to find out if an evacuation order has been declared for your area. Every emergency is different and during any emergency people may have to evacuate or shelter in place depending on where they live. Shelter in place means to stay put and make a shelter out of the place you are in. It is a way for you to make the building as safe as possible to protect yourself until help arrives. You should not try to shelter in a vehicle unless you have no other choice. Vehicles are not airtight enough to protect you from chemicals. The amount of radiation from natural or man-made sources to which people are exposed is usually small. A radiation emergency (such as a nuclear power plant accident or a terrorist event) could expose people to small or large doses of radiation, depending on the situation. Radiation can affect the body in a number of ways, and the adverse health effects of exposure may not be apparent for many years. These adverse health effects can range from mild effects, such as skin reddening, to serious effects such as cancer and death, depending on the amount of radiation absorbed by the body (the dose), the type of radiation, the route of exposure, and the length of time a person was exposed. Contamination refers to particles of radioactive material that are deposited anywhere that they are not supposed to be, such as on an object or on a person’s skin. Internal contamination refers to radioactive material that is taken into the body through breathing, eating, or drinking. Exposure occurs when radiation energy penetrates the body. Exposure to lower doses of radiation may lead to an increased risk of developing cancer or other adverse health effects later in life. Exposure to very large doses of radiation may cause death within a few days or months. Possible terrorist events could involve introducing radioactive material into the food or water supply, using explosives (like dynamite) to scatter radioactive materials (called a “dirty bomb”), bombing or destroying a nuclear facility, or exploding a small nuclear device. Although introducing radioactive material into the food or water supply most likely would cause great concern or fear, it probably would not cause much contamination or increase the danger of adverse health effects. Although a dirty bomb could cause serious injuries from the explosion, it most likely would not have enough radioactive material in a form that would cause serious radiation sickness among large numbers of people. However, people who were exposed to radiation scattered by the bomb could have a greater risk of developing cancer later in life, depending on their dose. A meltdown or explosion at a nuclear facility could cause a large amount of radioactive material to be released. People at the facility would probably be contaminated with radioactive material and possibly be injured if there was an explosion. Those people who received a large dose might develop acute radiation syndrome. People in the surrounding area could be exposed or contaminated. Clearly, an exploded nuclear device could result in a lot of property damage. People would be killed or injured from the blast and might be contaminated by radioactive material. Many people could have symptoms of acute radiation syndrome. After a nuclear explosion, radioactive fallout would extend over a large region far from the point of impact, potentially increasing people’s risk of developing cancer over time. Your community should have a plan in place in case of a radiation emergency. Check with community leaders to learn more about the plan and possible evacuation routes. Check with your child’s school, the nursing home of a family member, and your employer to see what their plans are for dealing with a radiation emergency. Develop your own Family Emergency Plan so that every family member knows what to do. At home, put together an Emergency Kit that would be appropriate for any emergency. After a release of radioactive materials, local authorities will monitor the levels of radiation and determine what protective actions to take. The most appropriate action will depend on the situation. Tune to the local emergency response network or news station for information and instructions during any emergency. If you are advised to evacuate, follow the directions that your local officials provide. Leave the area as quickly and orderly as possible and take your Emergency Kit. Take pets only if you are using your own vehicle and going to a place you know will accept animals. Emergency vehicles and shelters usually will not accept animals.